We have come up with twelve acknowledgement statements designed for customer service and contact centres. … as voted on by our readers. It may not be useful to remember these statements word-for-word, as it removes authenticity and will make advisors sound robotic. But remember to use the examples below as guidance on how to take all the key features of an acknowledgement statement, listed below, and merge them into fluent phrases. Coming at the top of our list, this statement was presumably popular amongst our readers because it acknowledges the difficulty of the problem without voicing a personal view on the matter, and follows the five principles listed below. This phrase was well received, as it personally recognises the problem and turns the negative into a positive seamlessly. But be careful only to use this one in certain situations, to ensure that you do not patronise the customer, so they don’t perceive the advisor to be mimicking their emotions. 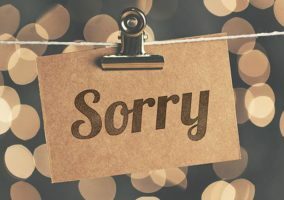 Often saying “sorry” can sound inauthentic, but not when the advisor says “I’m sorry” instead of “we’re sorry”, as it then seems as though the advisor has taken personal ownership of the issue. Taking this into account, this statement can be seen to merge the five key features below expertly. Again, be careful to avoid this one in stressful scenarios, but it in the right situation, this phrase does have potential. This is because it is skilful in its transition from negative to positive, as well as integrating all of the key features below. That sounds frustrating, let’s see what we can do. This statement works well in the sense of personally recognising the problem at hand, while not attempting to share or understand the customer’s emotions. So, if it were to be extended to include a proactive message of teamwork, using “we”, it could work well as an acknowledgement statement. Sent in by one of our readers, this comment addresses the situation well and is a good example which shows an advisor taking personal ownership of the problem. In doing so, it uses “definitely”, an important positive word to use in customer service, to good effect, in reassuring the customer. This statement works well in the sense that it reflects a will for a collaborative relationship between the customer and advisor whilst demonstrating a keen interest in finding a solution. Using this phrase can only work in a situation where the advisor needs to call back, but nevertheless it is useful in providing personal reassurance, as it says: “I will be in touch”, sending a strong hint of urgency and personal dedication to the matter. By using this statement, the advisor is dwelling on the negative situation. Instead of repeating the issue, which seems to be what is about to happen, it could be more appropriate to remove the “to” from the end of the phrase and add a positive thought that provides a sense of immediacy, like in the examples above. I’m sorry to hear that. Let me see what I can do to help you. This phrase addresses the problem well, but it lacks personality. It includes the use of “us” as a corporate term, when the advisor should look to be their own person in the interest of building rapport. Be careful when beginning a comment with “I’m sorry to hear that”, as it sounds as though the advisor is reading off a script, and that “generic feeling” is not something that should be transmitted when trying to form a relationship with the customer. This phrase can only be used in certain situations, as if it is used in response to a personal matter, the customer may take offence at the suggestion that the advisor shares their emotions. Remembering these phrases and constantly repeating them during an interaction can be tiresome, so it is sometimes better to simply include some of the key features from the list below when acknowledging a customer’s problem. Here is our advice on which elements make up the ideal acknowledgement statement, and merging them helps to make up our most popular statements. Customers may not want to be told that the advisor understands exactly how they are feeling, but personally recognising the issue can reassure the caller, as they feel as though you have taken personal ownership of their problem. So, just as it is essential when making empathy statements, it is important to use “I” rather than the more corporate “we”. Furthermore, using “I” in an acknowledgement statement allows the customer to feel as though they have someone working “on the inside” of the business, creating the perception that they have been personally recognised, which also builds rapport. Although it is advisable to start an acknowledgement statement with “I”, to personally recognise the caller’s problem, finishing with “we” creates the notion of teamwork, which ensures that the customer is not left isolated. Using “we”, as in the customer and advisor, not the advisor and the company, also demonstrates a commitment to working together, which aids the rapport-building process. Whie many contact centres ban advisors from using negative words, such as “no”, “can’t”, “don’t”, etc., this can make the team use roundabout ways of saying things, increasing call duration and giving the conversation a disjointed tone. Instead, we would recommend confronting the negative before flipping it into a positive. After all, an acknowledgement statement revolves around the principle of recognising a problem. So, swiftly assure the customer that they have been understood and then focus on finding a solution, a key theme in the statements listed below. An acknowledgement statement without any reference to action is merely a vote of sympathy. So, once the advisor has recognised the problem it is a good idea to reference the next action, to guide the customer through the process and create a sense of haste. This enables the caller to interpret the advisor’s sense of urgency as a sign that the matter is very important to the advisor and the company they represent. 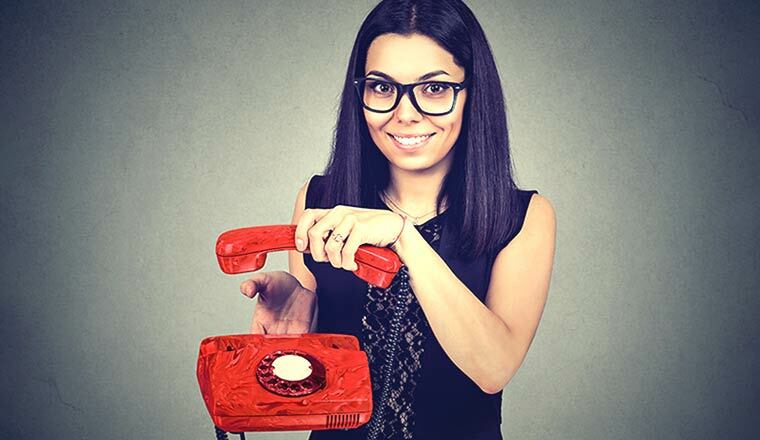 It is important for the contact centre team to be genuine when interacting with customers. If advisors just repeat standard phrases without authenticity, resentment can grow and that can increase customer frustration. For example, if a delivery containing a disability aid is delayed and the advisor were to say: “I understand how you are feeling right now”, the statement could be considered inappropriate. In fact, the only scenario in which it would not be inappropriate is if the advisor can reference a similar thing happening to themselves, a family member or a friend. So, don’t over-rely on one acknowledgement statement and be flexible with their use. Also, to make sure that advisors don’t sound robotic when using acknowledgement statements, encourage them to say “hi” instead of “hello” or “enjoy the rest of your day” instead of “good bye”, and other less formal examples. Did you agree with our list? Are there any other statements that you would add to it? Please leave your thoughts and any other examples you may have in an email to Call Centre Helper.